Levelling fresh allegations, Lalit Modi on Wednesday sought to drag Congress chief Sonia Gandhi and Bharatiya Janata Party leader Varun Gandhi in the escalating row involving the controversial former Indian Premier League chief. Modi alleged that Varun had met him at his house in London and offered a deal to "settle" matters with Sonia Gandhi, a charge dubbed by the BJP MP as "baseless" and "nonsense". "Mr @varungandhi80 came to see me at my house a few years ago and said he can settle everything in @INCIndia with his aunt(Sonia). He wanted me to meet her sister from Italy. I heard him next I heard from our common friend who introduced us that Auntie wants 60 million dollars. Told them whaaaat are u nuts go HKG a kite. Can he deny that. I hope he does," Modi alleged in a series of tweets. Vehemently denying the charge, Varun told PTI, "This is absolutely baseless and it is beneath my dignity to respond to this nonsense." The BJP also came to Varun's defence, saying he is in a different party than Sonia Gandhi. "Varun Gandhi and Sonia Gandhi are in different parties and the world knows about the ties between the two families, BJP Spokesperson Shahnawaz Hussain said. In another set of tweets, "Please mr @varungandhi80 -- let the world know what you told about what auntie wants -- witness is our good friend world renowned astrologer. 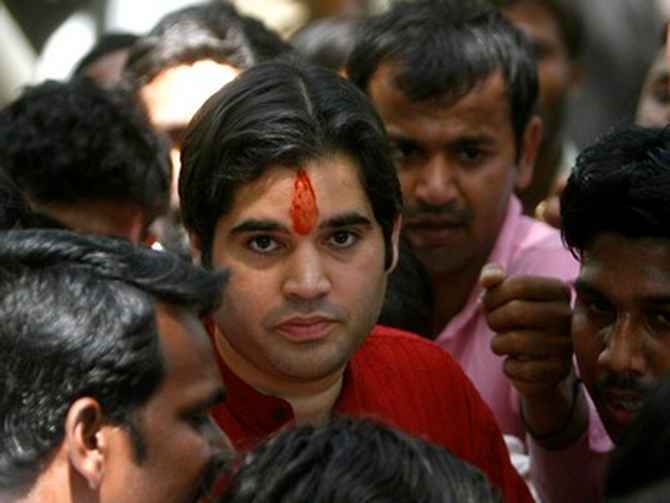 "Please clarify @varungandhi80 did u or did u not come to my house in london. Whilst staying at the Ritz hotel in lon(don) a few years ago - the auntie he refers to is #soniagandhi. The sister is #soniagandhi sister - just for clarity." The BJP used Lalit Modi's charge to corner the Congress, saying Sonia Gandhi should answer the allegations of demands made for settling the matters for Lalit Modi, who is being probed by the Enforcement Directorate on charges of money laundering. BJP national secretary Shrikant Sharma questioned Sonia Gandhi on the charges of money demands made to settle matters for him and said, "Sonia Gandhi should answer on the allegations made by Modi." Party spokesperson Shahnawaz Hussain said, "While Varun Gandhi has put across his point of view, Sonia Gandhi should answer on the allegations made by Lalit Modi." He said, "Congress asks too many questions, it is time now for them to reply."